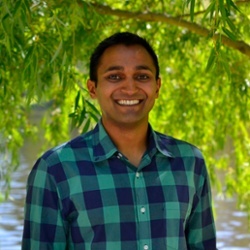 Shonak Patel is a two time ed tech co-founder and is currently working as the VP of Sales & Operations at Testive, an online personalized SAT/ACT prep program. In 2011, he co-founded Gather Education, a virtual classroom platform that makes teaching and learning on-line simple, natural, and more accessible to all. Prior to Gather Education, Shonak was CEO and Co-founder of Swellr, a finalist in the 2011 MassChallenge start-up competition and accelerator. In 2009, he served in AmeriCorps as the Finance and Development Fellow with the New Orleans Neighborhood Development Collaborative (NONDC) in New Orleans, LA. Shonak has been recognized as a White House Champion of Change and graduated with honors from Babson College in 2006 with a concentration in Finance.